Congratulations! You have found SilkPeelMD, the only medical grade in-office procedure with patented Dermalinfusion technlogy to treat a wide variety of visible skin conditions, on the face and body. 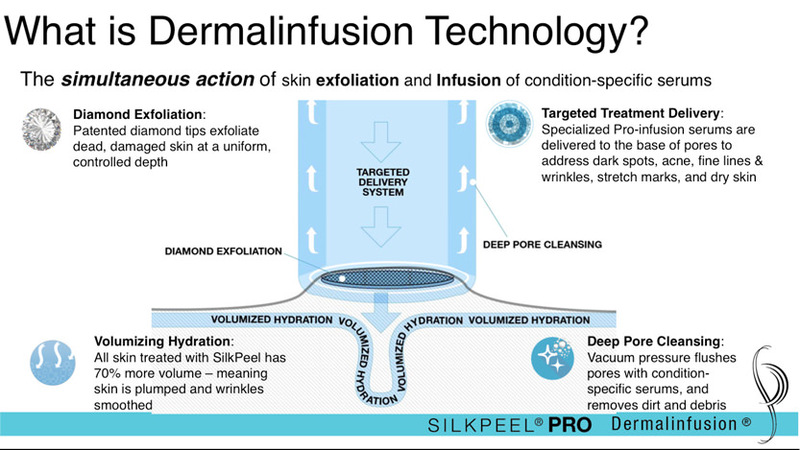 SilkPeel Pro-Infusion solutions are simultaneously infused into the viable epidermis under pneumatic pressure. This is Dermalinfusion. No other device uses true Dermalinfusion technology. It’s an exclusive SilkPeel patent!